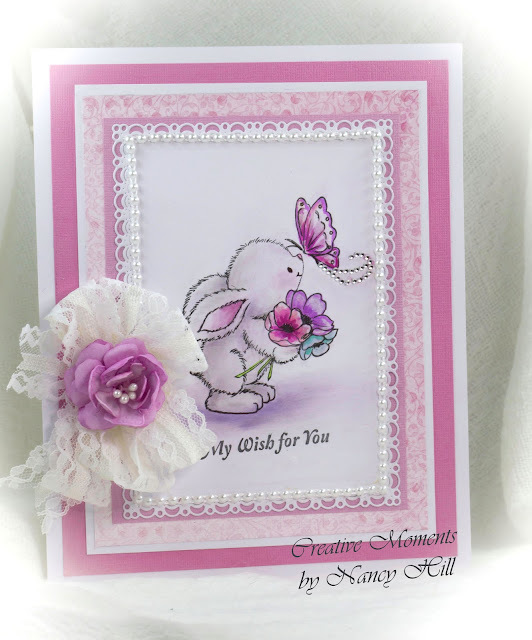 Welcome back and Nancy Hill, Design Team for The Rubber Buggy, excited to share a birthday card made with the adorable Wild Rose Studio Bunny and Butterfly stamp with the Heartfelt Creations Classic Rose stamp and die set and Heartfelt Creations Wishes stamp from The Rubber Buggy on-line store. I colored the elephant with Pan Pastels colors and the flowers with Pan Pastels and Copic Markers. The Heartfelt Creations rose was made using white foamarian foam and colored with pink and lavender Pan Pastels colors. The pink patterned paper is from the Heartfelt Creations Botanic Orchid paper and the lavender and pink solid colors are the Bazzill cardstock. 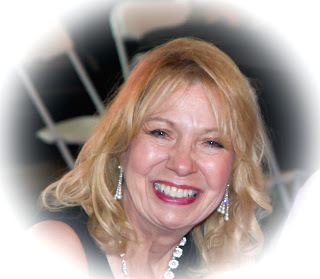 The die is from Cheery Lynn Designs. 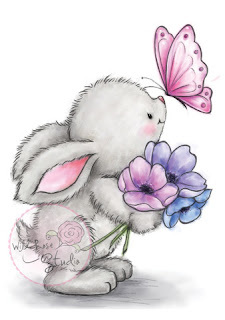 I can't wait to see the possibilities that you will create making using the beautiful Wild Rose Studio Bunny with Butterfly stamp on your cards or projects. You can purchase these dies and supplies from The Rubber Buggy on-line store.